This item has been discontinued by the manufacturer. Great News Respironics has released their latest in the Comfort Series. 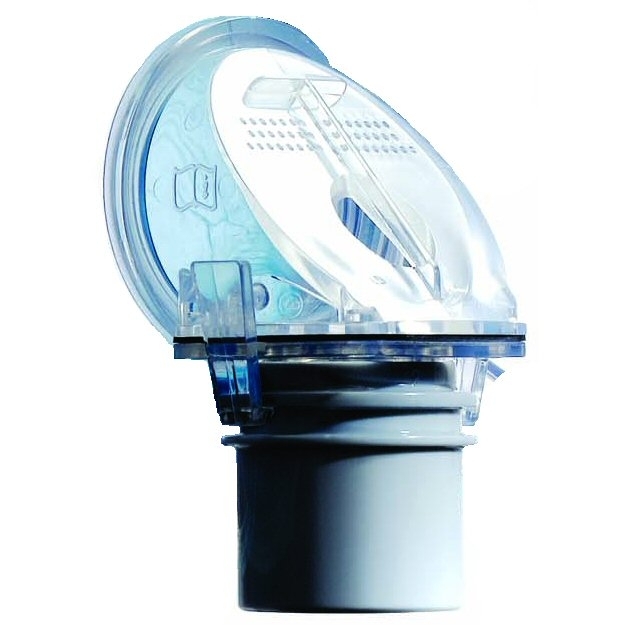 This Entrainment Valve Swivel is a like-for-like replacement for the original swivel supplied with your ComfortGel Full CPAP Mask. If your swivel gets broken or damaged it can severely hinder your ComfortGel Full's performance. Fortunately you can now get an exact replacement for the part, and continue to get the best possible CPAP therapy. This swivel is for the ComfortGel Full only. It will not fit the ComfortGel Nasal. If you are looking for a replacement swivel for your ComfortGel Nasal, you should instead have a look at the Exhalation Elbow for Respironics Nasal Masks.